AVAILBILITY This piece is not available. 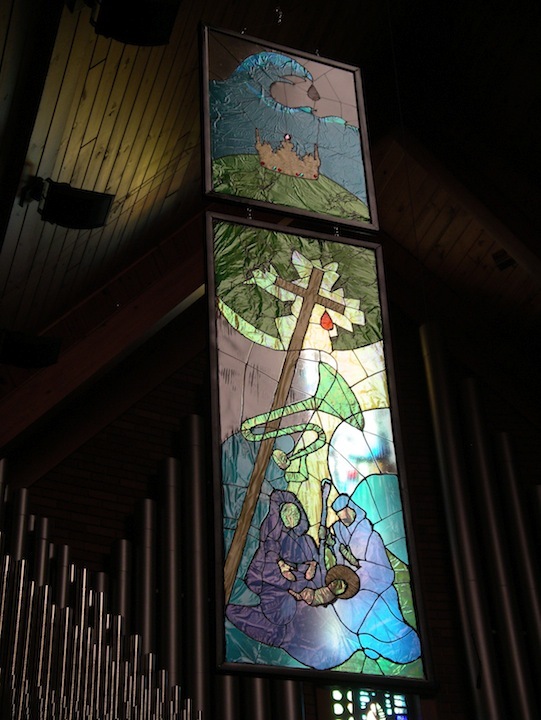 This Advent installation was created for Elmhurst Christian Reformed Church and is entitled Hidden Mysteries based on various scripture passages. Each section of these ‘windows’ were uncovered through out the weeks leading up to Christmas until the entire two piece panels were completely revealed.